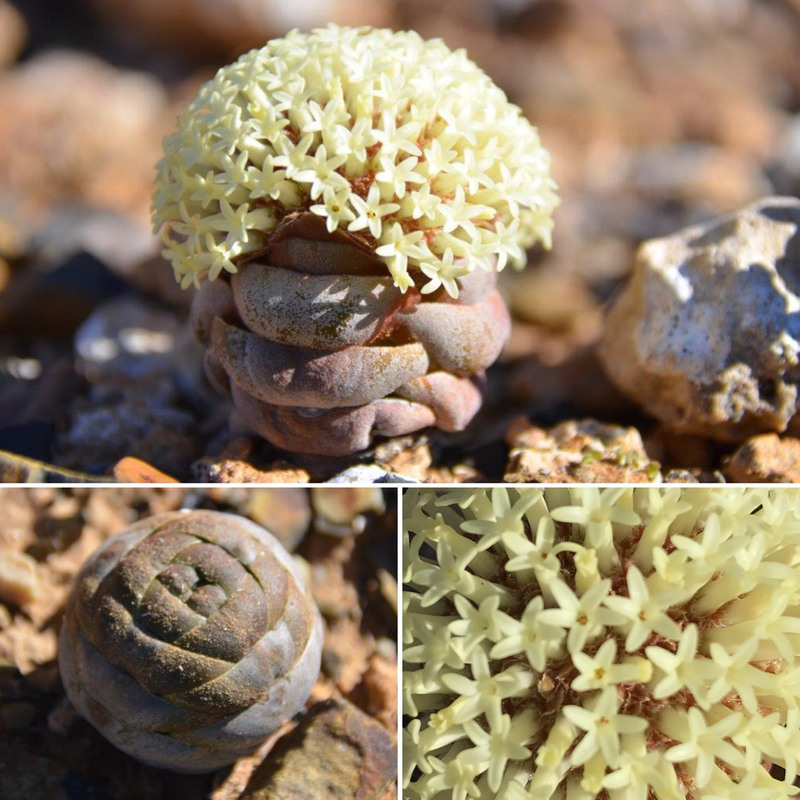 Crassula columnaris or (koesnaatjie) a dwarf, compact, perennials or biennials succulent, 1,5-6 cm high in which the grey-green to brownish leaves are rounded, fleshy, broader than long, arranged in 4 closed ranks; the leaves are incurved and so closely packed over each other as completely to hide the stem. The plant takes five to ten years to reach maturity, at which time, and if rain falls, the round body opens and a dense ‘shaving brush’ of cream sweet-scented flowers appears. The plant is monocarpic, the individual rosette blooms only once, then dies.